Detailed information about H15 Boutique on PensionHotel. You will find the hotel description, prices, location, number of beds, available services, attractions. The hotel can be booked directly through the contacts or use the booking form. Before booking see availability H15 Boutique. The 5-star hotel, H15 Boutique is a part of an impressive, historic building in the centre of Warsaw where in the pre-war times the Soviet embassy was located. It offers accommodation in stylish apartments with free Wi-Fi and a coffee maker. Each apartment is air-conditioned, with modern interiors and a seating area. Guests can relax in front of a LED TV with satellite channels. Some apartments feature a balcony and all have a safety deposit box. There is a kitchenette with a Nespresso coffee maker and free Fair Trade coffee. The bathroom is finished with stone elements and offers free toiletries. The Signature hotel restaurant serves international dishes with fusion and molecular kitchen elements. A drink or two can be enjoyed in the bar. 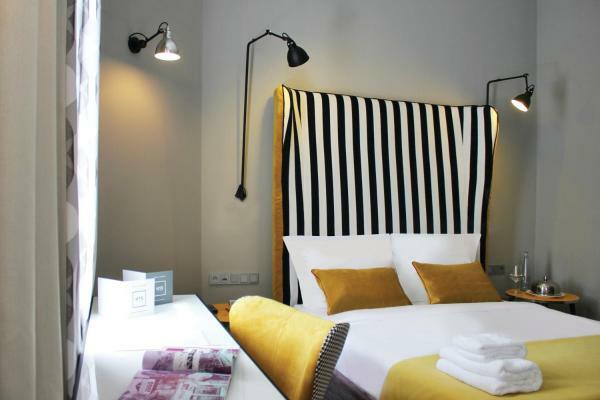 H15 Boutique hotel is situated only 200 metres from numerous restaurants and pubs. Metro Centrum Station is 750 metres away and the Central Train Station is 950 metres away. Please note that the breakfast price offered during the booking process is a discount price and is lower than the breakfast price offered on site.